Payments, like most international digital sectors, are based on, and compliant with industry standards. Rapid digitalization and emergence of new payment types, form factors and omni-channel customer journeys have delivered greater security, convenience and flexibility to consumers, but the complexities for the payment acceptance ecosystem continue to stack up. 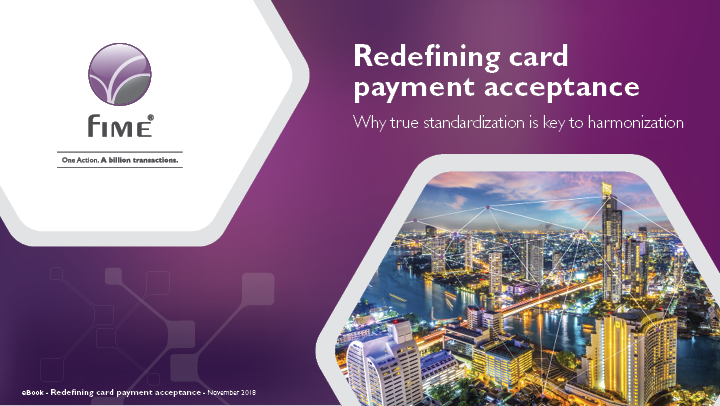 The eBook highlights the challenges facing banks and retailers in today’s fragmented global card payment acceptance ecosystem and how standardization can eradicate these. It also explores how efficient implementation is only truly achievable in partnership with a recognized, specialist consultancy / testing partner, which has the required knowledge and experience to guide implementers through the migration process, enabling them to realize the myriad benefits of global standards adoption. What does a nexo-compliant infrastructure look like? This eBook explains the value that each payments stakeholder can derive from adopting nexo’s universal standards.